We frequently meet entrepreneurs and companies who are looking at developing their own software-as-a-service (SaaS) offerings, and at the same time hear about the lack of tools and expertise to work on those SaaS offerings. Aliso Viejo-based Corent Technology (www.corenttech.com) is looking to address both of those issues, with a suite of software targeted specifically at the emerging software-as-a-service field. We sat down with Feyzi Fatehi, CEO of the firm, who gave us a little background about the firm and what it's doing. 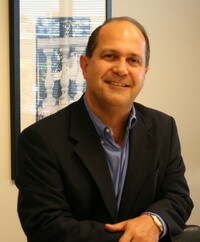 Feyzi has previously been an executive at Hewlett Packard, Jamcracker, and other firms. Explain to us what Corent is all about, and what your products are used for? Feyzi Fatehi: Corent has a simple yet powerful value proposition. It helps build software-as-a-service solutions ten times faster, and more effectively. As you know, there is a massive transition from legacy, client/server software applications to software-as-a-service. It's much more efficient, it's easier to maintain and use, and so on. My analogy, is that it's a gold rush, but people don't have the tools to do gold mining, and are doing it by hand. What Corent does is give the gold miners the tools to mine more efficiently, and reach their goals faster. What Corent is all about is enabling Saas solutions from concept to completion, help firms transition their software from client/server to SaaS, get up and running, and start making money. What do these products look like to customers? Feyzi Fatehi: What we have is three products, all of them software products. One is SaaS-Engine, one is SaaS-Factory, and the other one is SaaS-Powerplant. SaaS Engine is a set of flexible, configurable components that can put together around 80 percent of any typical SaaS solution. No matter what your application or industry, you're going to have the security modules, workflow modules, analytics applications, reporting tools, and user interface. SaaS engine provides those flexible, configurable components, which can be fine-tuned to the needs of your SaaS application. SaaS-Factory is an IDE -- an integrated development environment -- itself software-as-a-service. That creates an environment to quickly put components together, configure it, document it, and then integrate them into a specific custom SaaS solution. Finally, SaaS-Powerplant is what has been recently coined a "Platform-as-a-Service" or PaaS. that is, all the features, functionality, and capabilities that allow a SaaS solution to be delivered as a service to its users. For example, that might be load balancing, performance metrics, SLA -- service level agreement -- enforcement, and integration into billing. It's everything required to successfully deliver software solutions as a service. What kinds of companies are using your product? Feyzi Fatehi: There are two categories so far using our product. One, is people who want to create a SaaS solution and sell it. They fall into two categories themselves: people who already have client/server software, but don't have the expertise, time, or budget to build a SaaS version of their software. Category two is people who have an idea, are trying to raise money, and are trying to build a SaaS solution. We eliminate what would take two to three years, and $2-3 million raised to do it. Our tools can help them build their software in two to three months. Or, our partners can do it for them in two to three months at a fraction of the cost. We think it's roughly one tenth the cost of getting a solution up and running. The second category is corporate users. A good example is Boeing, or Micron Technology, or the Emmy Awards which had a specific, urgent need for solutions within their corporations. For Boeing, they needed parts management for the C-17; for the Emmy Awards, they needed to automate the daytime Emmy's--they had a major logistics operation to get applications in, judges selected, and to get nine hundred judges to vote. They used SaaS to achieve their goal. You mentioned some revenue share in how you charge for your products -- can you talk about that? Feyzi Fatehi: That's correct. We put them into the business of making money, rather than spending money. In return, we ask for a single digital revenue share that comes back to us. That way, our success is linked to their success. In addition, we provide ongoing support, upgrades, integration, and infusion of new technology into the platform, keeping it up to date, and supporting the platform. We're basically a one stop shop so they don't have to make big investments in building software and managing software developers. Speaking of software developers, explain how your company compares to the many software development shops and system development firms who companies might approach to build a SaaS solution for them? Feyzi Fatehi: The difference between Corent and a third party that build software for software-as-a-service, is that first of all, we can provide our tools and platforms to our customers, if they want to build it themselves. They can buy our platform, and build it themselves. Or, if they don't want to invest in a team, one of Corent's certified implementers can do it for them. That includes a small, symbolic team at Corent. It's different because if they want a solid platform, we have a solution that forms about 80% of the total solution--with the other 20% being their custom workflow, their custom UI, and custom applications. That's the big difference. The analogy is similar to when databases didn't exist. Programmers had to get a compiler, or assembler, and build their own data structures, and build their applications on top of it. With database products such as Oracle being out there now, they're out of their minds not to use Oracle. Databases are a proven, vetted layer between a compiler, operating system, and the actual application. We're another layer, similar to Oracle, on top of Oracle, specifically targeting software-as-a-service. We have a hundred percent of the common modules needed in a generic Software-as-a-Service application. The net-net is that we offer a much, much lower total cost of ownership over time. Feyzi Fatehi: The company is actually a startup, with 46 employees in the company. We're divided between the U.S. and a fully owned subsidiary in India. We've gone through three stages. The first was proof of concept. The second stage was proof of technology, by getting to customers like Boeing and Micro, and delivering the solution as promised. The current stage is proof of business model, providing that we have an innovative business model that we can build, in a fraction of the time, and cost, a solution that gets someone to market and where we share in a very small way in their success. What's your background, and how'd you get into this? Feyzi Fatehi: I was trained as a software architect, and graduated from one of the only five universities that offered a Masters degree in Software Architecture, the University of Texas. I was hired by HP to work on creation of the first real time database. Myself and five other engineers worked on it, and we got the patent for the first commercially available, real-time database. As I was working on my MBA, I started to build and manage mega-alliances at HP; for example, I worked on alliances such as SAP, Computer Associates, Oracle, EDS and Accenture. Following that, I worked on building or restructuring some business units within HP.I left HP in 1999 to join the founder of Exodus, Chandrasekhar, as a member of the leadership team at Jamcracker. After that, I came to Southern California and became an accidental serial entrepreneur. I transformed from a pure technology person to someone who brings technology innovation together with business innovation to create value for customers. I've also got a phenomenal team of technology and business executives, who have joined the company, from AT&T, IBM, and the former chief software architect of OpenText-- the largest document management company in the world. The team is really what makes Corent happen, which is a point of pride and satisfaction for me. Finally, how are you funded? Feyzi Fatehi: That's also very unusual. We've achieved all of our success on less than one million dollars in external investments. At the moment, we're ready to go to market, and we're proactively pursuing customers. Right now we're looking at $500,000 to bridge us to a Series A funding. We're inviting savvy individuals and smart technology investors, to participate in that. We opened that round a couple of weeks ago, and beyond that we are looking for a $2-5M Series A. That might come from a corporation that wants to partner with us, or institutions excited about creating a whole new level of playing field for the Software-as-a-Service market.